Bemidji State University will celebrate three major anniversaries during this year’s homecoming weekend. The anniversaries include the 50th anniversary of the Hobson Memorial Union, the 50th anniversary of women’s athletics at Bemidji State and the 10th anniversary of the Sustainability Office. 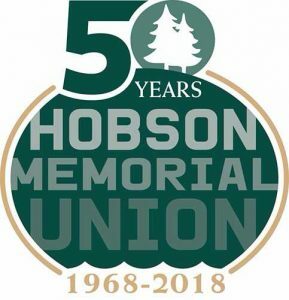 BSU will celebrate the 50th anniversary of student leadership with the Hobson Memorial Union by hosting a “Then & Now” panel with four alumni panelists. These panelists served key leadership positions during their undergrad years at BSU. They will share their experiences as students as well as student issue trends that occurred over time. Jim Frazee ’75. Retired, Prudential Financial. Former member of the Hobson Memorial Union Board. Brent Glass ’97. Associate Vice Chancellor for Student Affairs, Minnesota State Colleges & Universities. Former Student Senate President. Dr. John Gonzalez ’99. Professor of Psychology at Bemidji State. Former Council of Indian Students President. Jenna Long ’15. Academic Advisor & Student Relations Coordinator, Minnesota State University Moorhead. Former Student Senate President. The panel will be hosted on Oct. 5 beginning at 1 p.m. in the Hobson Memorial Union Beaux Arts Ballroom. There will be a reception following the panel at 2 p.m.
BSU will also celebrate the 50th anniversary of women’s athletics. Festivities will begin with a kick-off social on Oct. 6 at Bemidji State’s American Indian Resource Center. Everyone is invited to honor the founders of women’s athletics through photos, videos, sharing memories, and a short program. The event will begin at 5 p.m. with a social hour followed by a program at 6 p.m. The cost of the event is $20 per adult, while children 12-and-under are free. A group of pioneering women were responsible for bringing women into the forefront of athletics. This trio of women included: Dr. Marjory Beck, Dr. Ruth Howe, Betsy McDowell and Dr. Pat Rosenbrock. These women took the initiative and lead the change in women’s athletics by developing varsity teams and serving as a charter member of the first women’s athletics conferences in the country, the Minn-Kota Conference, in 1969-70. The celebration of women’s athletics will continue throughout the year with individual sport alumni weekends and will continue through the culminating family weekend and golf tournament in August of 2019. 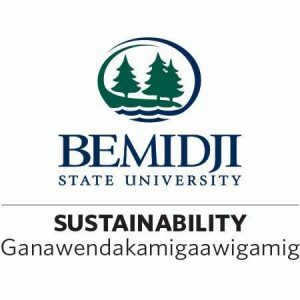 Additionally, Bemidji State will celebrate the 10th anniversary of Sustainability at BSU. The Sustainability Office plans to host a weekend of events to honor their 10 years on campus. 12 p.m. ‘Alumni Leaders in the Classroom’ event with a panel of three Sustainability alumni held in Hagg-Sauer 102. 4 p.m. Loop The Lake on Bicycle. Meet at the Gillette Wellness Center (a few bikes will be available to rent). 11 a.m. Students for the Environment (SFE) on two wheels in the Homecoming parade. Contact Anna Rose at anna.hansmeyer.2@live.bemidjistate.edu to participate. 12 p.m. Tailgate party with the Sustainability Office at Diamond Point Park. 10:30 a.m. Sustainability-focused tour of campus. Meet at the American Indian Resource Center parking lot. The Sustainability Office serves as a facilitator in BSU’s commitment to sustainability, acting through staff, students, faculty and administrators. Their goal is to maintain a more ecologically and economically sustainable campus community. The office is responsible for the education, communication, planning and management of environmental issues on campus.